Want to learn how to create henna designs? I am here to help! All of our henna tattoo kits now come with a brand new instruction and design book called Elemental Henna. this 40 page physical booklet is packed with clear instructions and fantastic henna designs. Elemental Henna teaches the art of henna design by using the basic henna elements such as bumps, spirals, heart tops/bottoms, and zig zags. Designs are specifically made to focus on each basic element so you can get-to-know that henna element up-close and personal. Combining these easy-to-do henna elements is what creates beautiful henna designs. All designs can be accomplished by the beginning henna artist and range from easy to moderately detailed. With over 90 henna designs to practice, Elemental Henna will help you build a solid artistic foundation. Instruction include the basics of henna, henna safety, the science of henna, how to mix powder, storage and sealing, henna applicator bottles, festival tips, straining henna, and more! This book comes standard with all our henna kits and can be purchased separately as well. Elemental Henna is offered in eReader friendly eBook format too. The eBook allows you to use design pages in your personal Festival/Design Books or to use with transfer paper. It's also great to print out instructions on a flat sheet of paper. The eBook version of Elemental Henna is available at a discount when you purchase any of our henna kits that come with the physical book. Add it to your henna kit for only .99! Learn how to do henna easily! 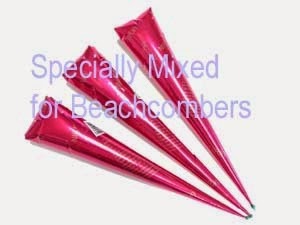 We have settled on new henna wrappers for our ready made henna cones! I like the thickness and the way our new henna paste cones are wrapped. They are easy on the hands to use, and they are strong. I'm finding very little leakage, even when shipping frozen henna cones. WIN! Currently the cones are in a bright pink wrapper with a picture of a women on them, but we are working on getting them printed specifically for us. Hopefully within a year we can have custom wrappers! For now I'm happy to use these generic wrappers. We've also slightly changed our henna paste recipe. It's a bit more mild, but still leaves nice henna color. Changing from clove oil to clove bud oil is nice. Adding Xantham Gum as a sugar is also great. The henna paste is more flexible than ever! In my testing, I'm getting good color and nice longevity. The xanthan gum also allows me to leave the paste on longer. Though I'd love it if everyone mixed their own henna from our fresh henna powder, these are the next best thing! Discounts on henna? Yes, please! 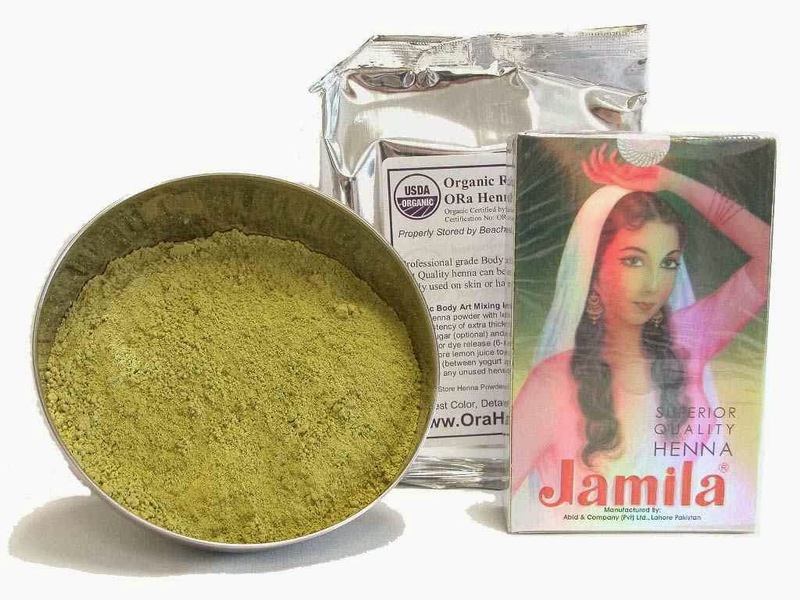 We have updated our henna powder pricing to reflect larger discounts for bulk orders. Discounts apply to both ORa henna (oranginc Rajasthani) and Jamila henna AND you can mix and match to get the discounts. Both henna powders are body art quality (BAQ) and professional grade. All henna powder comes in 100 gram packs. No need to do anything special, as our system automatically will give you the discounts during checkout.